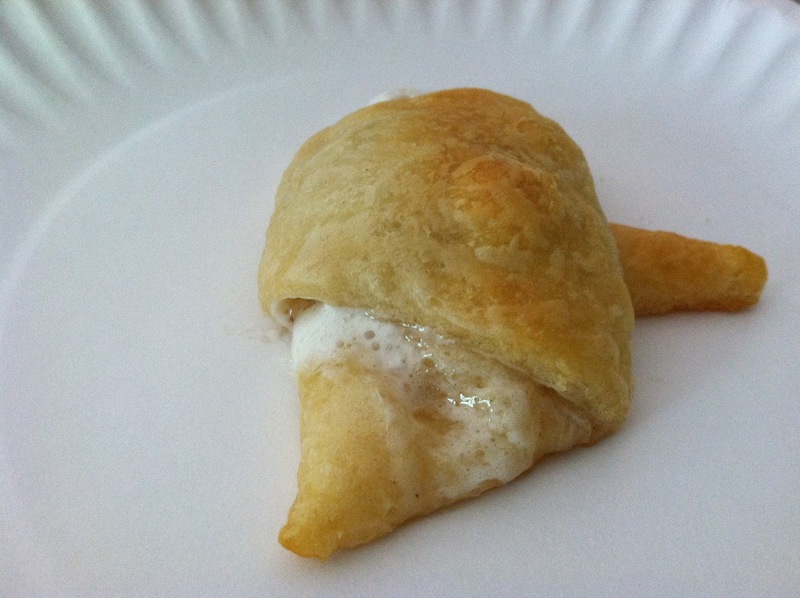 I almost think you could put a turd in a crescent roll and it would taste good. Wait. That's probably not a great way to start a recipe post. Let me start over. 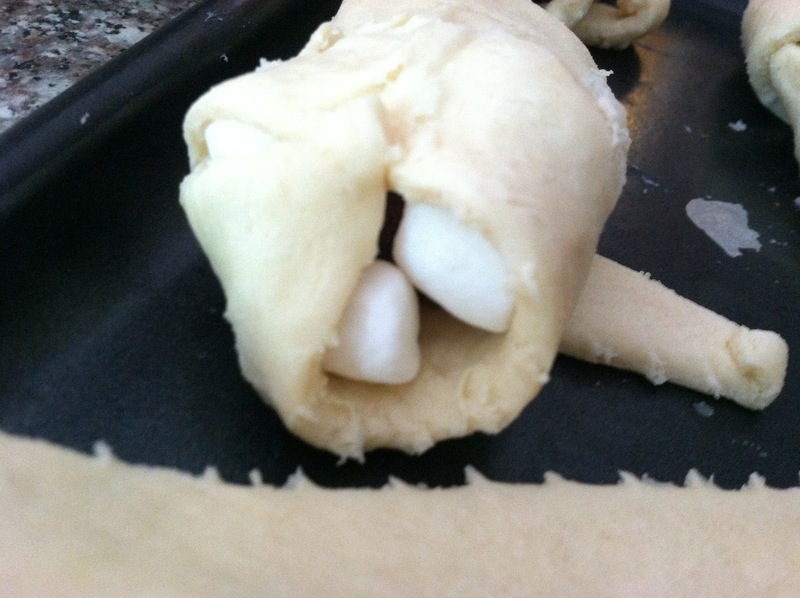 So, S'mores Crescent Rolls are awesome, and although I've made them about 10 times since finding the recipe, I haven't managed to remember to take a picture of them yet. 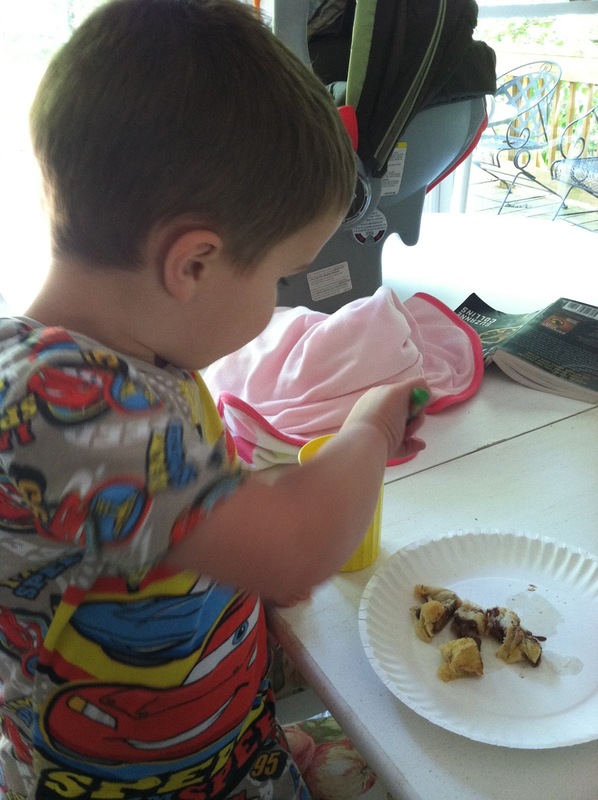 But the boys asked if we could replace the chocolate chips with Reese's Cups when we made them again, and I was like, "Nah." OH RIGHT. I forgot; you people know me. 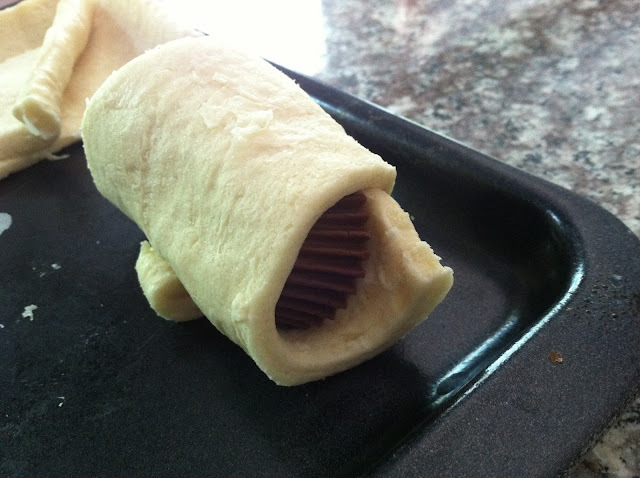 I was more like, "I wonder how many Reese's Cups I can FIT into a crescent roll." 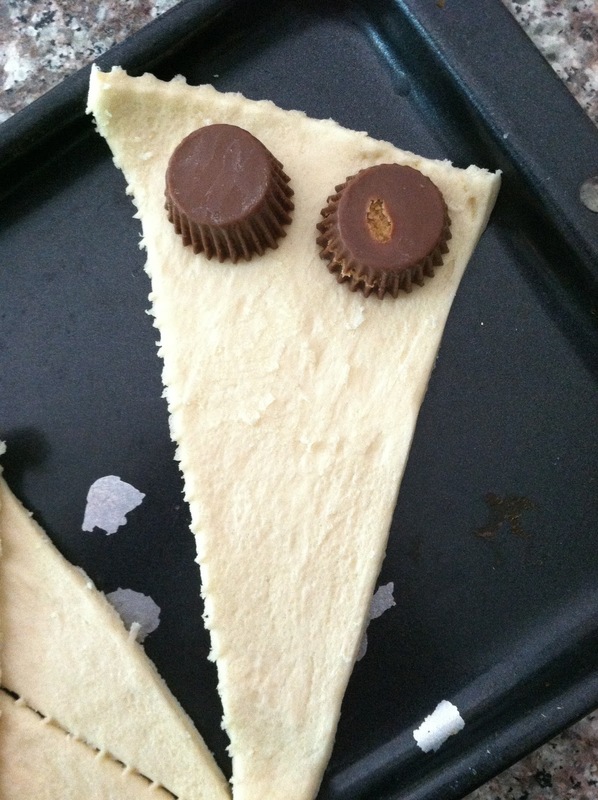 Here's what you need to make these bad boys: Crescent Rolls and mini Reese's Cups. To make up for only being able to fit two Reese's Cups in there, you have my permission to eat three extra Reese's Cups while the crescents are in the oven. When you've rolled them up, they look like this. 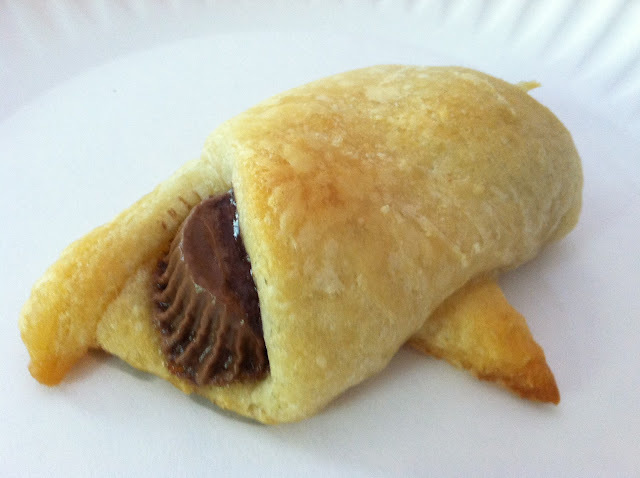 Just like a crescent roll, but with Reese's Cups in them. 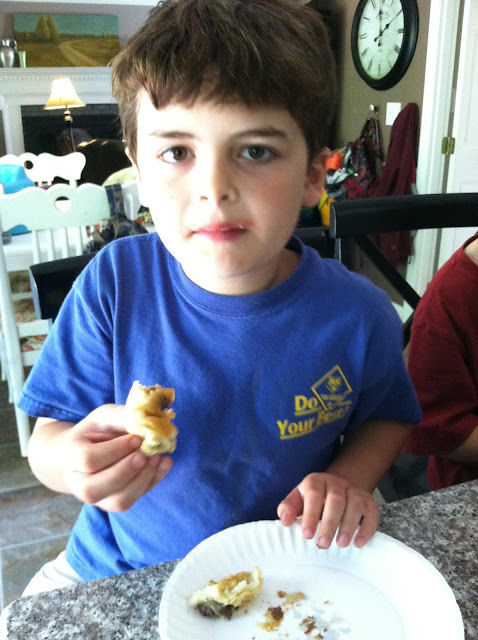 If your children are sugar fiends like mine are, they may ask you to do a couple with marshmallows in them. Sort of a hybrid of the S'mores version. "Not a bad idea," thought I. When you get those wrapped up, they look remarkably similar to the plain Reese's ones, just with little marshies sticking out of the sides. 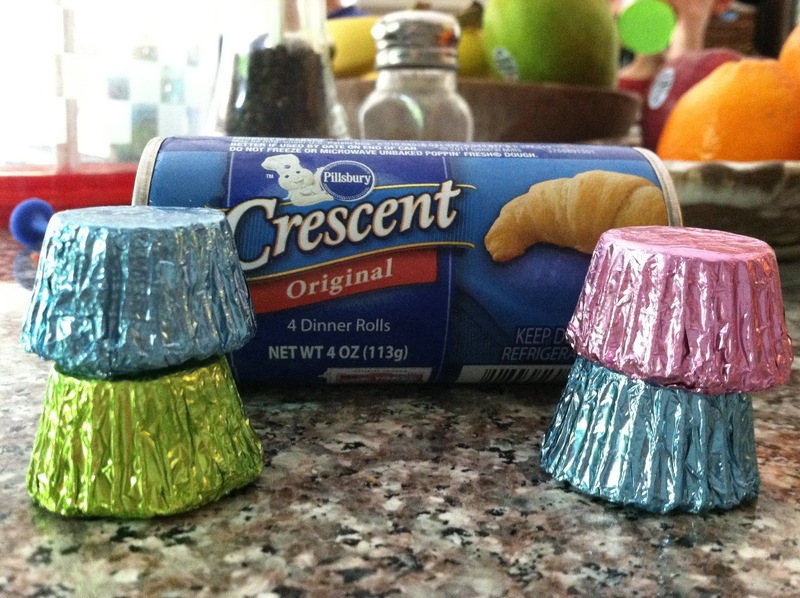 Bake them according to the standard directions on the side of the can, which doesn't take long. Eleven minutes or so. 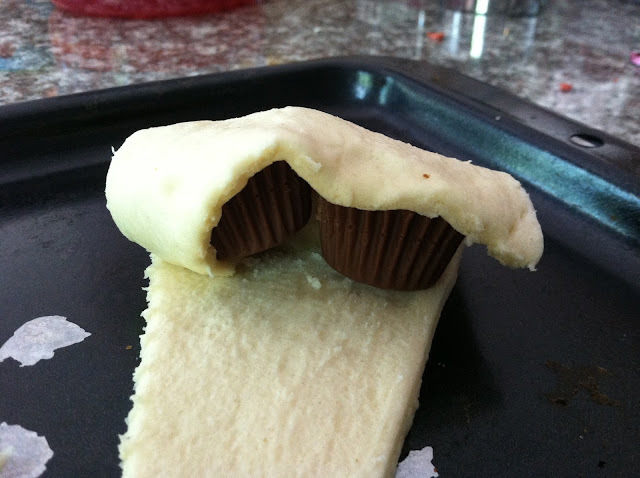 When you pull them out, the Reese's Cups will be really soft and gooey. And if you put marshmallows in there, they'll be oozing out the sides. LAWD HAVE MERCY. I cut my Reese's one open for you so you can behold the glory. Nick likes to dunk his in milk. 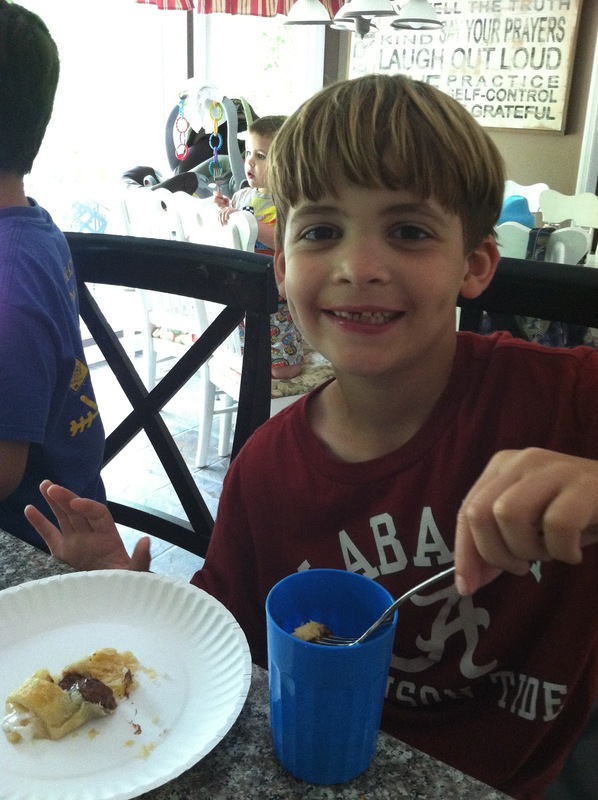 Jake decided to follow suit and gave it a thumbs-up. 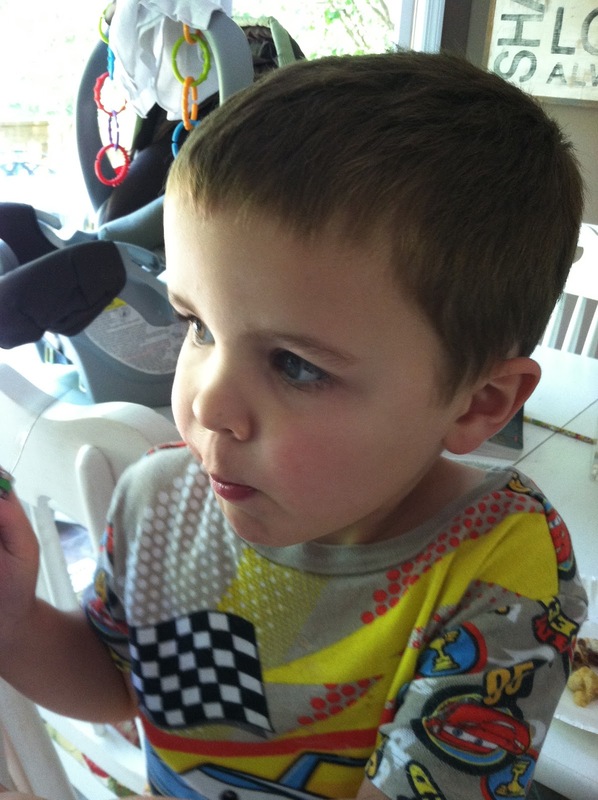 Chipmunk cheeks. Mine look like that even when they're not full of food. These suckers were gone in no time. No. Time. And they were begging for more. Personally, I prefer the S'mores version. I love Reese's Cups plain, and in large numbers. Repeatedly. But you do whatever makes you happy. 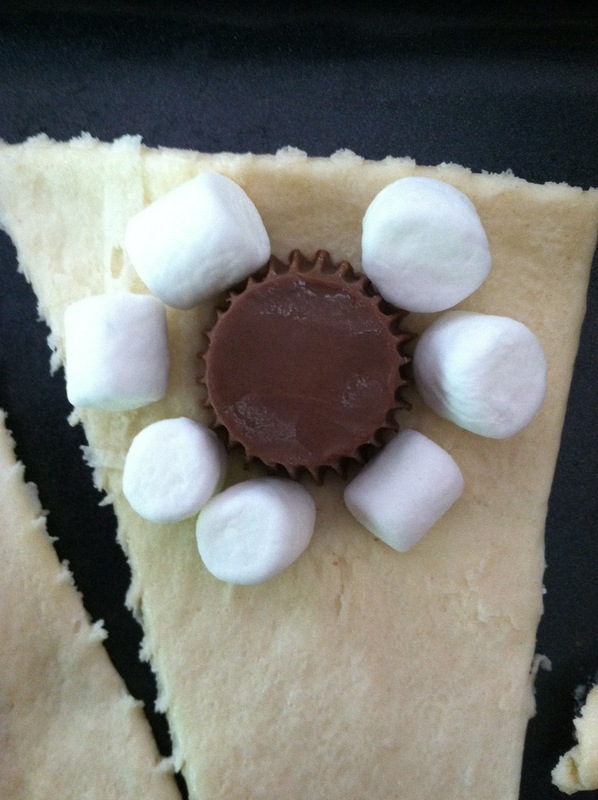 Have you tried making a smore with a Reese's Cup? They aren't bad either. I mean, really Katherine? DIE. I know if you ate them and they were delicious, that picture of the sliced open one might be appealing, but to the uninitiated, it looks so gross. I read your post this afternoon at work and immediatley called my husband and told him to head to the grocery store--NOW. I am patiently waiting for my 3 year old to finish his dinner so he can help me assemble these! Looks delish!! I think I can die happy now. This may be a regional recipe? 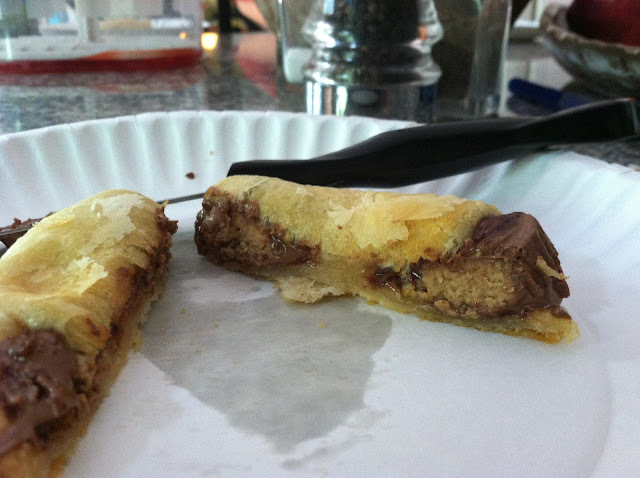 Kind of like deep fried Snickers bars? I don't think it would go over here in Hawaii ... everything has to have macadamia nuts on it.